Tons of projects on the horizon Sayaka!? I'm not sure if that's in reference to the same event, but this past weekend was a Girls Award event where Erika and Sayaka not only participated in, but also walked down the stage together! Ichii Sayaka is still active! Former Morning Musume member Ichii Sayaka (27) is starring in a collaborative movie between China and Japan, celebrating 40 years of friendship between the two countries. The movie is being produced under the working title “Ashita ni Kakeru Ai” and is directed by Katsuki Hideyuki (“Kimi ga Odoru, Natsu”). The story takes place in Aomori, Tokyo, and Beijing. In the movie, Ichii plays a mother and a designer, whose grandmother (played by Yachigusa Kaoru) was a Japanese orphan in China. The story follows the romance between her and a young Chinese man, played by Alex Ru. Child actress Omori Ayane has also been cast, along with Kato Natsuki, Tsubuyaki Shiro, Takada Kotaro, Osugi Ren, Yamamoto Mirai, and Takashima Masahiro. “Ashita ni Kakeru Ai” is planned for release in both China and Japan in 2012. It’s been revealed that former Morning Musume member, Ichii Sayaka, had divorced her husband, Yoshizawa Naoki, on May 23rd. Sorry to hear about the divorce, but yeah, after hearing the news about his "inability" to find work after quitting music, she was, without a doubt, the breadwinner in the family. And on a more positive note, this means she's now back on the market. Press conference about Sayaka's new film: “Ashita ni Kakeru Ai”, which will be released early next year. Back in May, Tokyo Hive had a story about the film, which has an interesting story line. 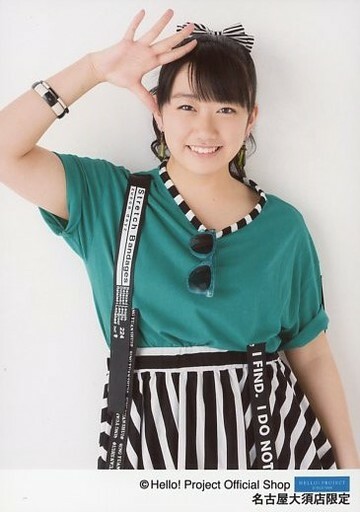 Her last film was "Pinch Runner", which was a Morning Musume project, but before you laugh, and say "Muppet, you got to be kidding me! ", with muffled giggles, "Pinch Runner" was a huge improvement on the first Morning Musume film " Morning Cop ~Daite HOLD ON ME!" and Sayaka showed a lot of acting promise in "Pinch Runner". Now at age 27, with two children and the unfortunate experience of being recently divorced- she certainly has lived life, and the experience will enhance her portrayals in what will hopefully turn out to be a lot of projects. wishing her a day full of love and the laughter of her children and the love of her family, hoping to see more of her in 2012!! Evidently, this is true in more ways than one! On August 25th, it was reported that former Morning Musume member, Ichii Sayaka (28) got remarried to a hairdresser (37). According to the source, the couple registered their marriage on July 24th. Back in May 2004, Ichii married Yoshizawa Naoki (36) who was the guitarist of “Ichii Sayaka in CUBIC-CROSS” that Ichii formed after she graduated from Morning Musume, but they divorced in May of 2011. Ichii has been raising two daughters alone since the divorce. She will continue her activities while taking into consideration her condition. Hope she has a great day with her family!!! Time for Baby #3!!! OMEDETOU KAA-SAN!!! 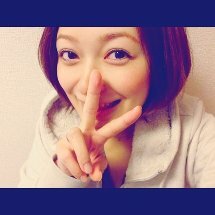 Former Morning Musume member Ichii Sayaka (29) announced through her official blog that she had given birth to her 3rd child. According to the announcement, she gave birth to a baby boy at 2:51 am on March 25. Ichii married guitarist Yoshizawa Naoki (36) back in May of 2004, and gave birth to 2 daughters. While she divorced in May of 2011, she later remarried a hairdresser in August of last year. Well, we can definitely say that at least one MM daughter won't be following in her mom's footsteps. Former Morning Musume member Ichii Sayaka revealed on her blog that her oldest daughter, who is currently 8 years old, has no interest in the world of show business and finds many faults in her mother's TV appearances. Ichii wrote on her blog that she and her oldest daughter happened to watch a TV appearance of her in a shopping program together on July 10th. She wrote down an interesting part of their conversation. "Mama, you know. You aren't really suited for TV." "You have to be able to speak (when you're on TV), at least to some extent." "It may seem like that, but Mama is actually doing her best." "That's no good then. Don't you have a quiz show next week?" "Ehh, I think that's impossible for you. They are asking you questions after all!?" "Well, good luck (ironic smile)"
Ichii explained that her daughter is always straight to the point and doesn't hold back with her opinion, "At this point, she's more relentless with me than my manager." Furthermore she wrote. "Of course this also results in her having no interest in entering the world of show business at all. She wants to work with her hands and do something practical. She'll become a reliable person. How wonderful~"
Former Morning Musume member Ichii Sayaka (30) revealed on her official blog that she has applied for "Otona AKB48 Audition". "Otona AKB48 Audition" is a part of Ezaki Glico's "Papico 2014 Spring Campaign" which AKB48 has been the image character for, and they are recruiting one limited-time member (during April 12 ~ August 31) who is over 30 years old. The qualification needed was that one had to be a woman over 30-years-old as of April 12 without distinction of professional/amateur or single/married. The winner will be able to appear in a CM and window advertisement for Papico as the center member, and she will also participate in handshake events, theater performances, and live concerts as well. 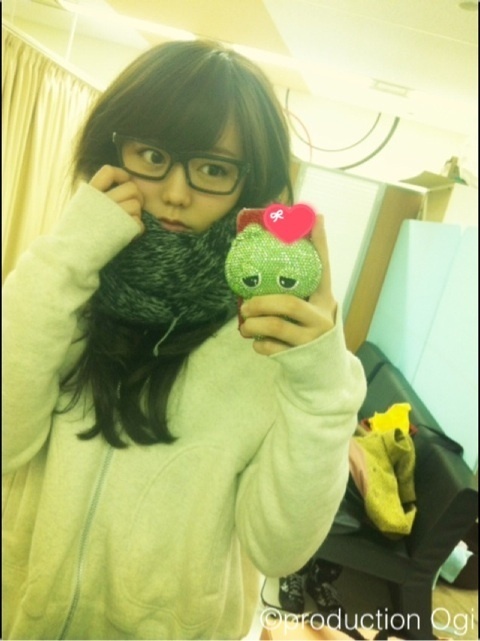 Ichii wrote on her blog, "I have applied for 'Otona AKB48 Audition.' I will do my best! But, I haven't received the result for the paper screening yet...I am worried...I wonder who else applied for it other than Kintaro-san..."
Comedians Kintaro and Yahata Kaoru previously revealed that they also applied for the audition. The application period is already over, and according to the campaign's official site, only those who pass the paper screening will be notified via email or phone call by April 4. Well, I guess whatever gets her back into the workforce, I guess. Congrats to Sayaka san and her husband! Just the coolest news. Also saw this on Kaasan's Instagram. I appreciate it when they're able to embrace their idol lives in full-bloom womanhood.